Thursday, June 26, 2014 - Regatta #1 of 7 - MAYRA South Jersey Summer Series Jr. Sailing Event. Register and pay on-line for the event by June 25, 8PM to save time and $5 on your registration fee. Registration will not be complete without a digitally signed Waiver form for each sailor. PLEASE NOTE: ALL SAILORS MUST CHECK-IN AT REGISTRATION UPON ARRIVAL - EVEN IF YOU HAVE PRE-REGISTERED ON-LINE! Click on the burgees on the right (under SPONSORS) to go to the Club websites! 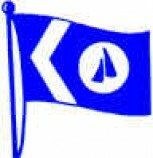 All sailors who register on-line MUST check in upon arrival at the Regatta. Registration and check-in is open from 7:30 am - 9:00 am. Skipper's & Coaches meetings to follow at 9:30. Boats will launch and the first race will begin at 10:00 am. Snacks will be provided on the water and lunch will follow after races and before the awards are given.